NatraTex Cotswold® is the flagship product of the range. 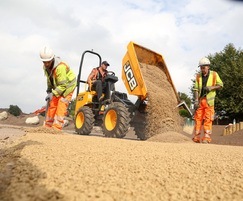 It combines the key ingredients from the company's other hard landscaping products to form a durable, fully-bonded, buff coloured natural aggregate wearing course. It is an asphalt surface course, with the characteristics of a conventional macadam; installed at the same depth and same sub layers (base and binder course). Based on tried and tested asphalt technology to offer a high-performance, hardwearing surface. Offers a fully compacted finish compared to real gravel. 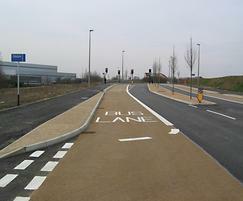 Seamless finish is resistant to deterioration, such as cracks or potholes. Prevents the likelihood of trips and falls. Clear binder makes it environmentally sympathetic and durable. Fast and simple to apply. Complies with BS 4987 and BS 594. 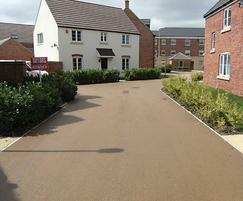 NatraTex® has been used for roads and paths both in the public and domestic sectors. Suitable for new construction, overlays or regeneration projects. 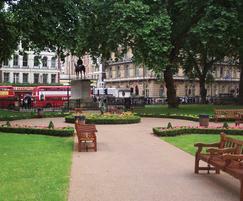 Can be used to reflect the character of heritage buildings or complement modern schemes. A specially formulated clear binder is used to bond natural aggregates, producing a durable, fully-bonded yet natural looking surface. This allows architects and designers to blend the hard landscaping with the immediate architecture and surroundings. Rycroft Middle School and Dove First School were both relocated to a new, purpose-built facility on a single campus. Both schools are linked via communal gathering areas, which are located centrally for ease of access. In 2016, Bituchem was involved in the refurbishment of Coleshill Memorial Park in North Warwickshire, which was being transformed with new equipment and facilities for all ages to encourage local people to stay in the town. 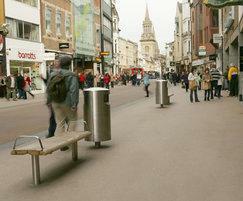 Oxford County Council needed to replace broken and loose concrete slabs that were causing a safety hazard in one of Oxford's busiest pedestrian areas. 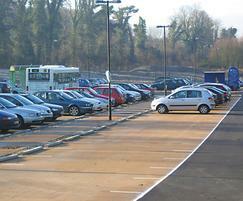 The project was undertaken as part of the Transform Oxford programme.